It seems that smokers are having more and more trouble finding places to light up these days. They can’t smoke at work, or in most other public places, like bars and restaurants. Some municipalities are banning smoking in outdoor parks and other public places, too. Seems like his or her own home will soon be the only place a smoker can legally smoke. Unless they live in a no-smoking rental property. Is that the case for your rental properties? Are your tenants allowed to smoke in their units, or in common areas? For an increasing number of landlords, the answer is “no.” It’s not so much the smokers’ health that landlords are concerned about—it’s the health of the rest of tenants, including children, who are subjected to second-hand smoke. If you’re ready to ban smoking in your rental properties, you might experience some pushback from smoking tenants. Smoking is legal, after all. But landlords are within their rights to ban many legal activities, such as owning a pet, playing loud music or operating a business from home. In many states, laws are changing to specifically state that landlords may adopt no-smoking policies. And some cities have instituted smoking bans on multiunit properties. 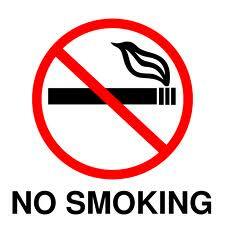 A new no-smoking policy generally requires 30 days’ notice before it can go into effect. 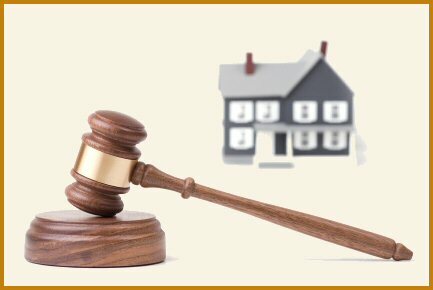 A tenant with a current lease cannot be subjected to the ban until the lease expires and they sign a new one. If you’re going smoke-free, think about how you’ll handle your policy. Will you include all units as well as common areas? Will smokers be allowed to smoke in a far corner of the property, or in an isolated area of the parking lot? How will you handle violators? If you own several buildings, would you convert some to smoking and the rest to non-smoking? There are several ways to approach it, but encouraging tenants to give up smoking is good for everyone. After all, if you won’t subject a tenant to a neighbor’s noise, why would you want to subject him or her to a neighbor’s second-hand smoke? Could this happen to you? A Montana landlord faces up to three years in prison for renting to a medical marijuana business. The landlord neither grew nor sold marijuana; he is the only landlord charged after two rounds of federal search warrants were served on Montana medical marijuana operations last year. The landlord, along with three tenants, was charged with conspiracy to manufacture marijuana, conspiracy to distribute marijuana and possession with intent to distribute marijuana. After making arrangements with the prosecutors, one tenant pleaded guilty to money laundering and will serve six months in federal prison with six months of house arrest. The others pleaded guilty to conspiracy to manufacture marijuana and received sentences of a year and a day. The landlord, Jonathan Janetski, faces sentencing on April 19, on a charge of maintaining drug-involved premises, with a maximum penalty of 20 years in prison and a $500,000 fine. His lawyer says that sentencing guidelines point to a likely sentence of 30 t o 36 months in federal prison—more than the people who grew and sold the marijuana. Janetski’s lawyer said his client thought the business was legal under state law. The raids surprised growers and medical marijuana dispensaries alike. State law legalized medical use of marijuana, but growing, distributing and possessing marijuana is still a violation of federal law. Growers in California also thought their state’s law made it legal to grow and sell marijuana for medical use. There, authorities sent out warning notices before conducting raids. Landlords often used that opportunity to evict marijuana-growing tenants and remove the plants. The head of a drug task force in California’s Central Valley said that strategy proved more efficient than raids. No such letters were sent in Montana, where one landlord who thought he was following the law has found himself facing criminal charges and jail time. 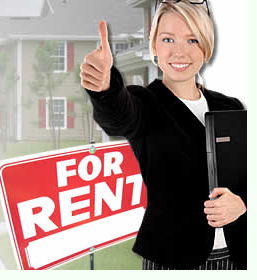 Pest control in rental properties requires mutual agreement and effort from both the landlord and the tenant. Unless a rental agreement specifically provides that a landlord will supply pest control services, he or she is not required to do so (check state and local statutes or housing codes for exceptions). Of course, severe insect infestations can contribute to health issues, which could lead to other violations, so most responsible landlords take care of pest problems. Here are a few tips to pass along to your tenants, to help keep pest populations under control—a mutually beneficial situation, for sure! Keep things clean: Empty the garbage regularly, wash pet food dishes often, and don’t leave dirty dishes in the sink. Wipe down the stove and kitchen counters every evening. Rinse juice, milk and soda containers before putting them in the recycling bin. Check out the plumbing: Report leaks immediately. Don’t allow standing water to accumulate beneath cabinets or on floors. Turn off faucets to avoid drips. Store food properly: Don’t leave boxes of cereals or bags of flour or sugar open. Store food in airtight containers. Inspect used furniture: Buying a chair or couch from a yard sale is a great way to save money. So is picking up free furniture from the side of the road. However, think about what’s coming in with the furniture. 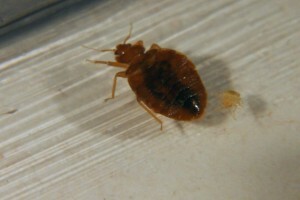 Check it for signs of infestation of bugs—especially bedbugs. Check your luggage: When returning from a trip, check all bags for signs of bedbugs, ideally before you leave the hotel, and again when you get home. Reduce pet pests: If you have cats or dogs, keep them pest-free with flea and tick medication. Landlords, do your part: Keep pests out by sealing gaps, caulking cracks and using stripping around doors. Install quality windows and doors that seal tightly, and treat only with people-friendly pest control when absolutely needed. 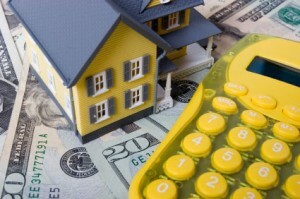 Do Fireplaces and Rental Properties Mix? Ahhhh, a cozy, cracking fire on a cool evening. What could be better? If you’re an owner of a rental property with a fireplace, you could probably write a long list to answer that question. But most people enjoy sitting by a fire, so a fireplace can add great value to a rental property. Newer homes and apartments often have gas fireplaces—if they have one at all. 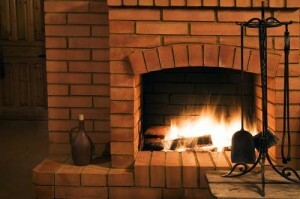 Wood burning fireplaces are common in older homes and apartment buildings. And landlords are split on whether or not to allow tenants to use them. 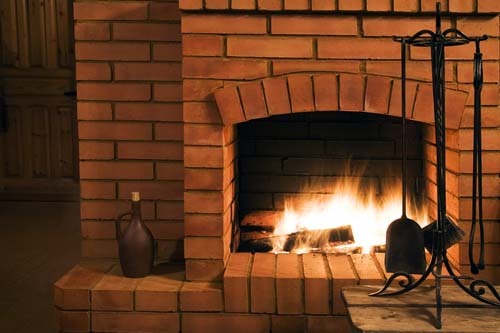 Here are some factors to consider when you own rental properties with wood burning fireplaces. Fireplaces can be dangerous: a fireplace can also cause serious fire and smoke damage if not used properly. Too many people do not know how to use them properly. Some use gasoline to start fires. Others store wood too close to the fire, or don’t use doors or screens to keep embers from igniting nearby carpets or curtains. And news reports often showcase the tragic results of improper disposal of ashes. Fireplaces require regular maintenance: yearly inspections and professional cleanings are essential to keep fireplaces safe to operate. They waste heat: much of the heat generated by a fireplace goes right up the chimney—and they draw warm air from the rest of the room, too. Liability issues: if your tenants do not have renter’s insurance, you may be liable for any damage that occurs as a result of their negligence or an improperly operating fireplace. They attract pests: Chimneys are a great place for birds and squirrels to nest. If you decide to allow tenants to use fireplaces or woodstoves in your rental property, be sure to include a provision in the lease and have the tenant sign, acknowledging they understand and agree to your terms. 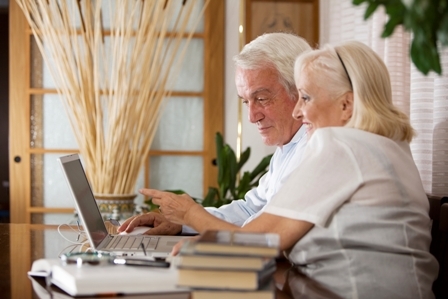 Check with your insurance provider about how it will affect your premium, coverage and liability.